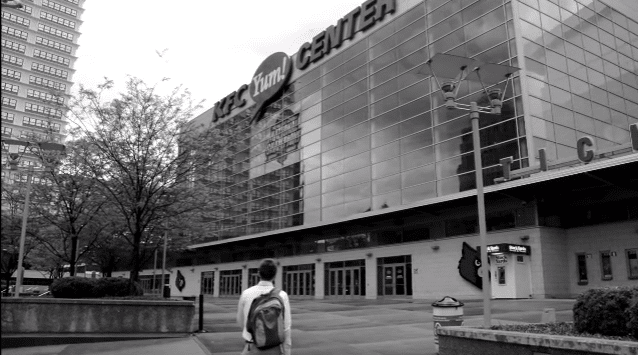 Kentucky auditor Mike Harmon will audit the KFC Yum! Center, answering calls to action by legislators. Legislators asked Harmon to audit the center, managed by the Louisville Arena Authority and leased by the Louisville Athletic Associtation, Oct. 19. Harmon said the audit will review fiscal year 2016, investigating the Authority’s compliance with agreements and contracts, including the revenue sharing agreement, and internal control work to get insight on management agreements and operations within Authority. He expects the audit, which could be expanded, will be finished by summer. U of L’s Senior Associate Athletic Director for Media Relations Kenny Klein said the athletic department will cooperate with Harmon. “We are a tenant in the arena and will cooperate if asked for information. We have always participated in their annual audit,” Klein said. Lawmakers cited possible failures in the arena’s financial management in October, attributing U of L lease agreement costs as part of the problem. U of L’s lease agreement with the YUM! Center guarantees 88 percent of private suite sales go to the university. Businessman Denis Frankenberger forecasts the stadium will go bankrupt. Built in 2010, the $238 million, 721,762 square foot arena is the premier location for U of L’s basketball and volleyball games. The arena was voted 21st nationwide by a 2014 Pollster magazine, and hosts concerts, sporting events and graduation ceremonies. This is Harmon’s second audit involving U of L, after he finished an audit investigating the university and the University of Louisville Foundation. That audit found dysfunction and obfuscation between the university and endowment manager, citing board conflict, questionable compensations and a lack of checks and balances. The lack of checks and balances allowed former U of L president James Ramsey to approve a $67 million loan between the university and foundation without proper board approval. Ramsey refuted the findings, pointing to university progress achieved in his tenure.